Former FBI Director James Comey issued a statement in defense of the FBI’s top lawyer James Baker who Republicans on Capitol Hill are trying to cast as a leaker. Hill Republicans, who are attempting to sniff out political bias within the agency, have suggested that Baker – who is in the process of changing roles at the FBI – may have leaked information about the infamous dirty dossier to Mother Jones reporter David Corn. Corn, who broke the story on the existence of the dossier, has stated that Baker was not his source. President Trump, however, suggested something shady might be afoot in a Saturday afternoon tweet. ‘Wow, “FBI lawyer James Baker reassigned,” according to @FoxNews,’ the president wrote. Politico put out a story Friday that quoted two unnamed Congressional GOP sources who told the publication that House Republicans are investigating contact between Baker and Corn in the weeks leading up to the 2016 presidential election. Corn broke the story on the dossier on October 31, 2016, eight days before the election. 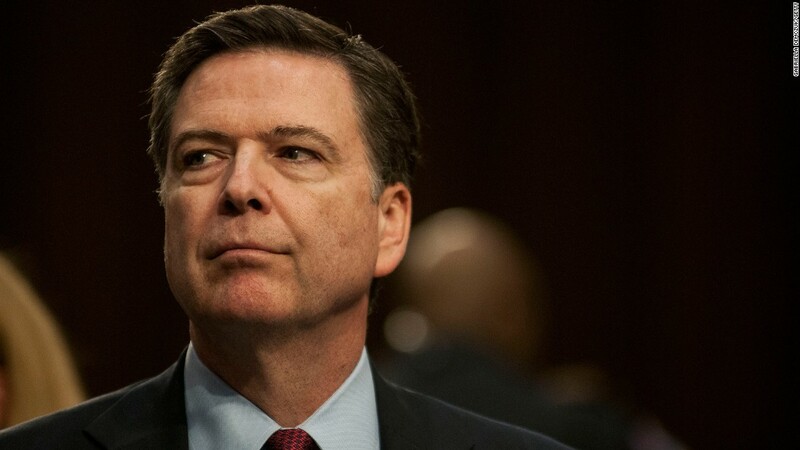 On October 28, 2016, Comey had told lawmakers that the FBI had found additional emails pertinent to the Hillary Clinton email investigation – a statement that the Democrat would later say helped her lose. Corn’s piece pointed out that then Senate Minority Leader Harry Reid, a Nevada Democrat, sent a ‘fiery’ letter to Comey and revealed the existence of the dossier. ‘In my communications with you and other top officials in the national security community, it has become clear that you possess explosive information about close ties and coordination between Donald Trump, his top advisors, and the Russian government,’ Reid wrote. ‘The public has the right to know this information,’ the Senate’s Democratic leader told Comey. Corn then laid out what he knew. It’s since been reported that the dossier’s author was Christopher Steele, a former British intelligence agent. Baker, however, was receiving attention because of a Washington Post story that came out Thursday that said he’s being reassigned from his position atop the Office of General Counsel at the FBI. Two of the Post’s sources said the move didn’t come because of the political controversies plaguing the FBI, but rather as part of the leadership transition at the hands of new FBI Director Christopher Wray, who was confirmed for the job in August. The Post’s story also pointed to Baker’s involvement in a leak probe that involved news reports detailing surveillance techniques for a specific email provider. That probe, the newspaper reported, had recently petered out. Politico’s story, which came out a day later, had Republican sources revealing that Baker had been in contact with Corn in the weeks leading up to the 2016 election, citing documents that had been provided to lawmakers recently by the Department of Justice. However, the story also noted that the congressional sources told the publication that there was no conclusive evidence that Baker assisted Corn with his reporting. ‘But Republicans are pointing to the connection to cast suspicions about whether FBI officials had a hand in directing the details of the dossier to reporters, and the two sources said they expect it to be a focus on GOP investigators’ upcoming lines of inquiry,’ Politico wrote. The contents of the dossier were also reportedly shopped around to reporters by Fusion GPS, the firm hired by Hillary Clinton’s campaign to dig up dirt on Trump. The dossier had originated as opposition research on Trump, first funded by an unknown Republican primary opponent and then taken over by the Democrats and Clinton’s campaign. Republican allies have questioned the FBI’s use of the dossier, which has never been verified in full, as a way to cast doubt on the handful of investigations into Russian meddling of the 2016 election and any Trump ties. The president has also made great hay over government officials leaking information to the media. Questions about Baker’s media ties began several days ago, Politico pointed out, when he appeared with FBI Deputy Director Andrew McCabe on Tuesday as McCabe took part in a closed-door session with the House Intelligence Committee, one of the panels investigating the Russia links. GOP lawmakers in the meeting grilled McCabe on who at the FBI was allowed to talk to the media. One Republican member then asked McCabe about a ‘hypothetical,’ outlining a meeting between the FBI’s general counsel and a Mother Jones reporter, Politico said. In front of the panel, McCabe – who has also taken recent heat from the president over alleged political bias – said a meeting between such an FBI official and a reporter would be unauthorized, as Baker was seated in the room. The committee’s top Democrat, Rep. Adam Schiff of California, suggested it was Republicans who should be ashamed for leaking information about Baker to the media, as Politico’s sources had done. ‘While we do not comment on the substance of nonpublic investigatory interviews, congressional Republicans again appear to be leaking information in an effort to discredit the FBI and Justice Department in the hopes of undermining the Mueller investigation,’ Schiff said. Special Counsel Robert Mueller has taken over the FBI’s investigation into Russia and Trump. ‘Disdainful of the damage they are doing to our system of checks and balances, they would drag down another public servant in order to protect the president at any cost,’ said Schiff. Besides his Capitol Hill testimony in June, Comey – who was fired by President Trump in May – has largely stayed away from FBI-related matters, using his social media presence to share timely quotes and inspirational phrases. But on Friday night, he used his Twitter account to back a former colleague. ‘He is what we should all want our public servants to be,’ Comey said of Baker.